There are proper approaches to prequels and there are improper approaches. The first film in this new Wizarding World franchise, Fantastic Beasts and Where to Find Them, did it the right way, introducing a new corner of this fictional world while retaining the familiarity of the original series for a result that while not exactly great, was a decent starting point. Unfortunately, The Crimes of Grindelwald squanders a solid foundation for incoherence and convenience. 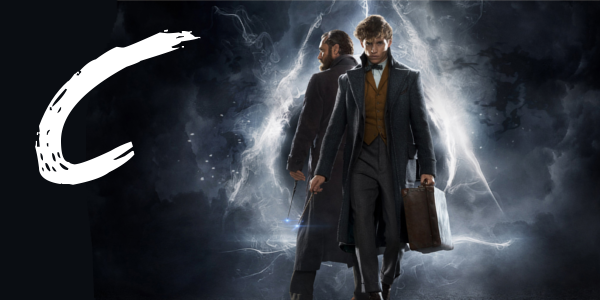 In an effort to thwart Grindelwald's (Johnny Depp) plans of raising pure-blood wizards to rule over all non-magical beings, Albus Dumbledore (Jude Law) enlists his former student Newt Scamander (Eddie Redmayne), who agrees to help, unaware of the dangers that lie ahead. Lines are drawn as love and loyalty are tested, even among the truest friends and family, in an increasingly divided world. The worst crime a film could commit, particularly an entry in a franchise, is to be boring. And that was one thing that can be said unequivocally about Fantastic Beasts: The Crimes of Grindelwald, it’s incredibly boring. 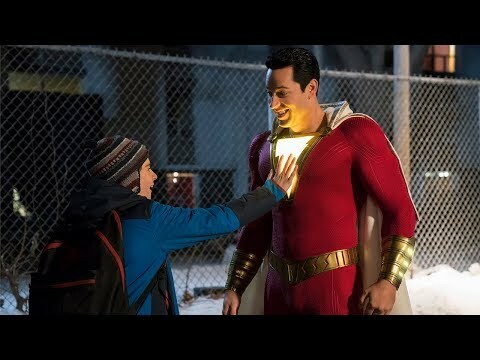 Even the films in the franchise that meander at times feature characters that are at least worthy of the audience’s affection or attention, and this film doesn’t even that to fall back on. Yes, there are occasional action scenes to liven the whole endeavor up however slightly, but then it’s quickly back to the character interactions and exposition dumps that continue to feel hollow. Part of the issue arises from the centering of the franchise on a fairly uninteresting character in Newt Scamander when J.K. Rowling and company clearly want to focus on the dichotomy of Dumbledore and Grindelwald. In doing so, and making this franchise another huge event in the wizarding world from the start, audiences have gotten little time to grow with or care about the characters in said event. There is something interesting in both a magical zoologist traveling the world and the buildup to Grindelwald vs Dumbledore, but to have them happening within the same franchise makes everything cluttered. Perhaps the only saving grace of Fantastic Beasts: The Crimes of Grindelwald is the visual imagination and creativity on display. Say what you will about the lack of story or well-rounded characters, but the film is undeniable in the visual department. Creating new beasts and crafting magical societies from the ground up allows for some truly inspired decisions that continue to evoke the wonder of the original series. Fantastic Beasts: The Crimes of Grindelwald is probably the worst film in the larger Wizarding World franchise, but considering how well received the other nine films have been, that isn’t saying the film is truly awful by any means. With this film, it seems J.K. Rowling sought to make her The Empire Strikes Back, but wound up with Revenge of the Sith instead. A film that gets as close to the spirit of the originals as possible, but falls victim to the tropes that befall many a prequel, the everyone is someone cliche that derails this franchise for the time being. For better or worse, they have three more films to get it right before this newly minted franchise calls it quits.